It is the duty of every living entity to learn the science of Krishna, or the science of the self, and to make himself perfect. He will attain freedom from the temporary world of material creation by reviving his original love of Krishna. In this way, he will return home, back to Godhead, which is the aim of all human endeavors, be they scientific, economic, artistic or cultural. Every living creature is subjected to four basic miseries, beginning with birth, continuing into old age and disease, and ending in death. No one wants to be miserable–everyone wants to be happy–but material nature functions in such a way that no one can be happy. Ignoring this basic truth, modern thinkers, politicians, scientists, educators and artists are all struggling against the stringent laws of nature. They think by material adjustments they will find the happiness they hanker for. In spite of all comforts and the advancement of science, economics and politics, no one is happy–if for no other reason than that life is temporary. 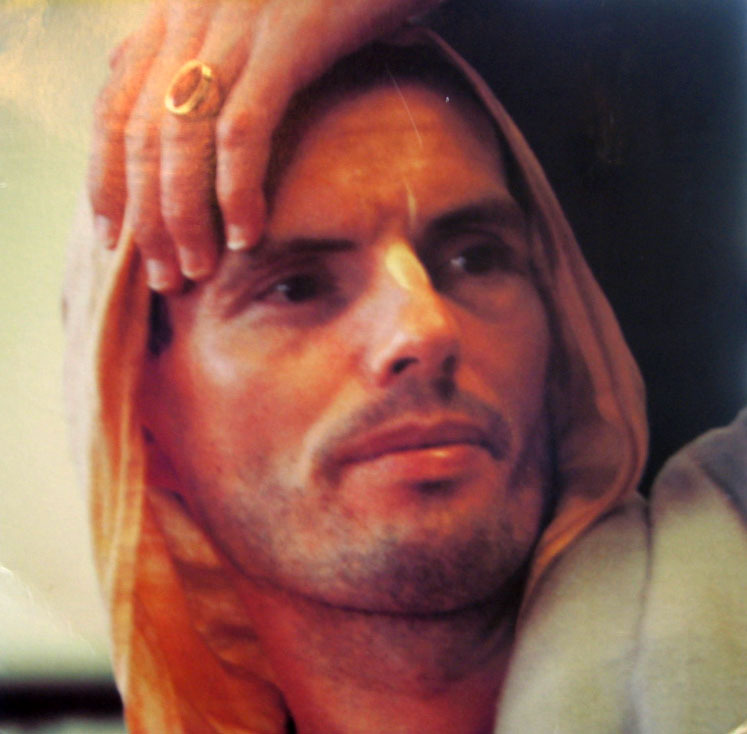 The Hare Krishna movement offers a program to get out of the material world altogether. We accept the statements of the scriptures that beyond this temporary manifestation of material creation there is another permanent creation. In this temporary life, a human being should do everything possible to promote himself to that permanent life, which is eternal, spiritual life. This is man’s only duty in life. Science, medicine, education, art, music and poetry should all be applied for achieving this end, rather than for improving an illusory life of material enjoyment, which may be immediately pleasing, but is only temporary. The highest authority is God Himself. God speaks through shastras, or scriptures, such as the Bible, the Koran, Bhagavad-gita and Srimad-Bhagavatam. There are a number of authorized scriptures in the world in different communities, but the principles of all scriptural injunctions are the same. The Bible says, “Thou shalt not kill.” This is a basic law in human society. Bhagavad-gita teaches ahimsa, or non-violence. One should not disturb even an ant or a mosquito unnecessarily. Jesus says, “Whatever you do unto the least of my brethren, you do it unto me.” “Do unto others as you would have them do unto you.” According to time, place and circumstance, there may be different scriptures, different languages and different customs, but the principles of religion are the same. The teacher may be different, the school may be different, the language may be different and the teaching technique may be different, but the conclusion is the same. Krishna consciousness is a science. Religion is not a sentiment meant for a section of the population to believe. Religion is based on the authority of shastras, or scriptures, and the conclusions of the shastras are perfect. 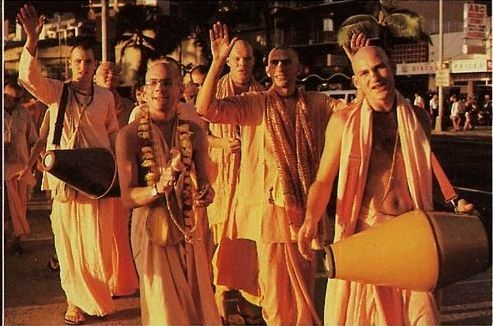 The Hare Krishna movement is based on the teachings of Bhagavad-gita and Srimad- Bhagavatam, which are Vedic literatures written more than 5,000 years ago. This movement has come down through the line of disciplic succession, or the line of spiritual masters, beginning with Krishna and continuing down to the present day. Five hundred years ago, Krishna appeared again as Lord Chaitanya. The Srimad-Bhagavatam and other Vedic literatures predicted that Lord Chaitanya would be the Yuga Avatar, or the incarnation of Godhead for Kali-yuga, the age of darkness, quarrel, hypocrisy and dissension. Lord Chaitanya especially stressed the process of sankirtan, or congregational chanting of the holy names of the Lord. Although there are many paths of spiritual realization, and the body of Vedic literatures is vast, Lord Chaitanya taught that in this age the general mass of people would not be able to practice these various paths of spiritual discipline. Therefore He recommended that people in this age should practice chanting the holy names. This movement is primarily spreading the teachings of Bhagavad-gita and Srimad-Bhagavatam and the chanting of the holy names: Hare Krishna, Hare Krishna, Krishna Krishna, Hare Hare/ Hare Rama, Hare Rama, Rama Rama, Hare Hare.